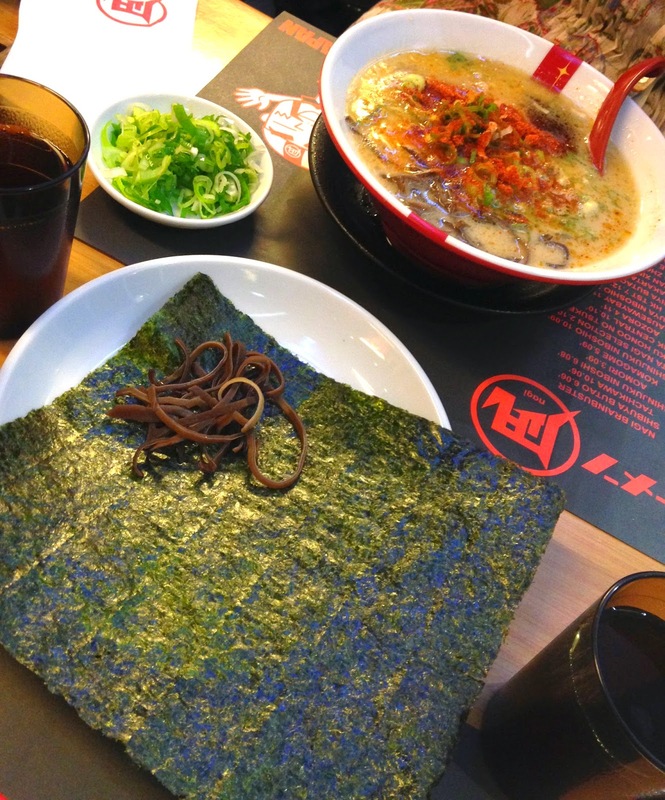 Originating in Japan, Ramen Nagi has gained steady popularity amongst the Ramen- loving Filipino crowd because of their DIY Ramen dishes. 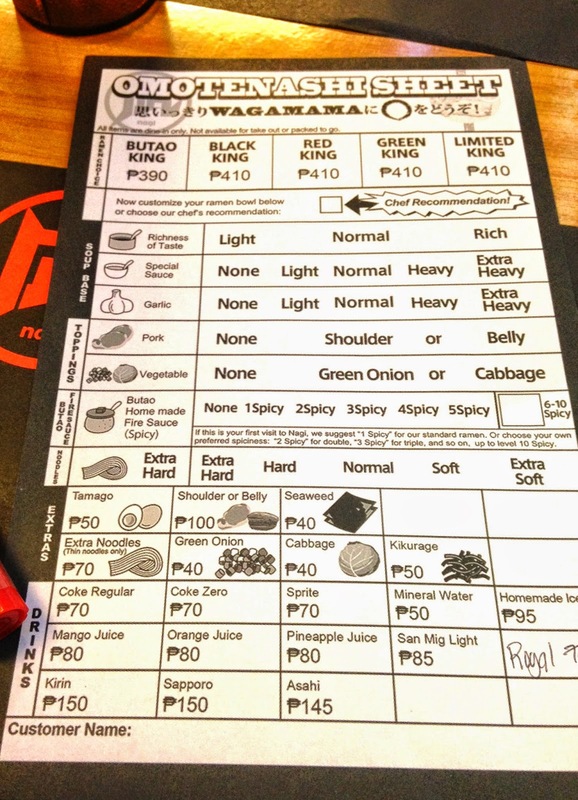 I even read a list called Top Ramen Restaurants in Manila and this restaurant tops the list. There are sheets of paper on each table and it contains a list that will let you create the perfect Ramen. If you're not in the mood to customize or the type who gets easily overwhelmed, just ask the waiter for the best- selling combos, chef recommendations, or the ala-carte menu. Now here's my perfect Ramen. Opted for something with a light broth so I wouldn't pack on too much calories! There are condiments on the table too like these interesting ones. 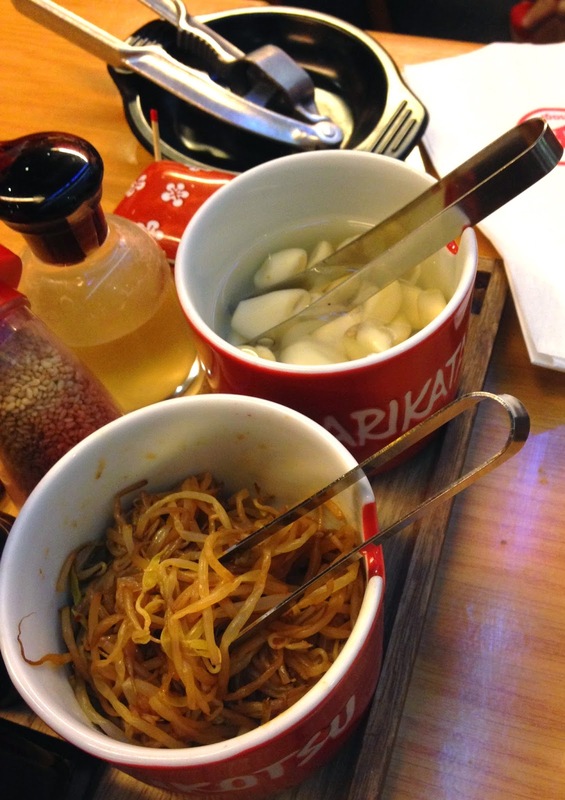 One pot contains bean sprouts and the other has whole garlic cloves immersed in vinegar (?). Tadah! Here's my Ramen. I actually like it because it really is light. The light versions of the other Ramen Restaurants I've been to were still pretty rich and fatty for my liking. Mom went for a spicy Ramen with Seaweed and Bamboo Shoots (errr...I'm actually not sure if the brown strings are Bamboo Shoots haha!). By far, Ramen Nagi has the nicest noodles I've eaten: it's soft and thin enough to be chewed easily, but not soggy, and broth is very flavorful and best of all, not salty! It's another favorite of mine next to Wrong Ramen because I love the Ramen customization part and I'd definitely go back here to spend my cheat meal. If you want to dine in this restaurant, be prepared to wait because it's always packed! During weekends in Ramen Nagi SM Aura, they set up tables and seats on the outdoor area, but that still ain't enough to accommodate the number of visitors they get on a daily basis. (especially on a weekend!) 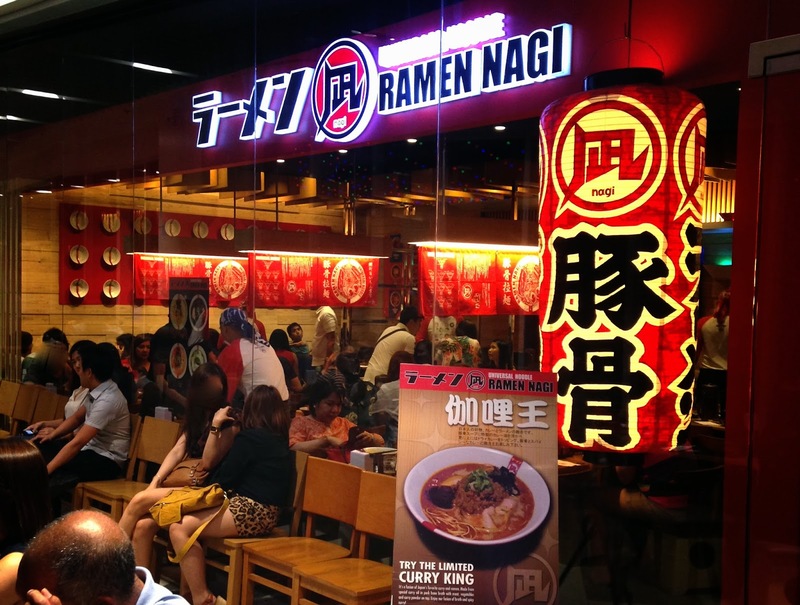 Ramen Nagi, maybe you should consider expanding your space or putting up a new branch in this mall! 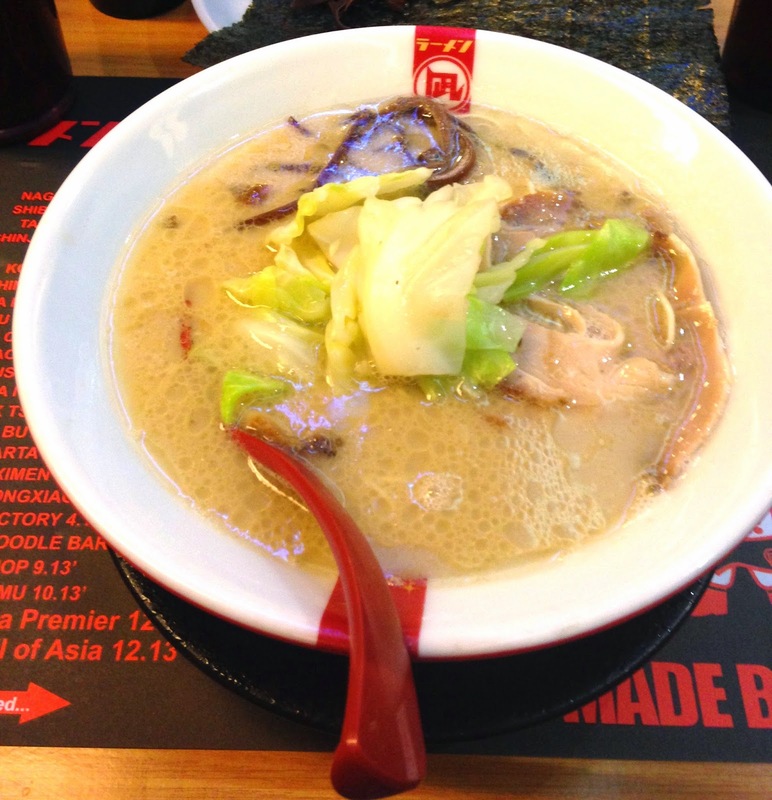 Your ramen actually looks tasty. I dont like spicy ramen because I just taste the spiciness instead of its real taste.